The launch of Pokemon Go has unleashed the franchise upon the world once again but this time it’s encouraging users to get active and socialize in the great outdoors. To show off their dedication to the cause, [Npoole] 3D printed a Pokédex external battery and case to combat the game’s already legendary drain on their Galaxy S4’s resources. Mimicking the first-generation Kanto design, [Npoole] 3D printed it in red ABS and added a small circuit with a red, yellow and green LED to complete the effect. Inside, a 18650 lithium cell provides the much-needed backup power via a micro B plug and is boosted to 5V with a LiPo charger/booster board. Despite a switch on the circuit, the battery slowly drains so that’s something to be corrected in a future version. 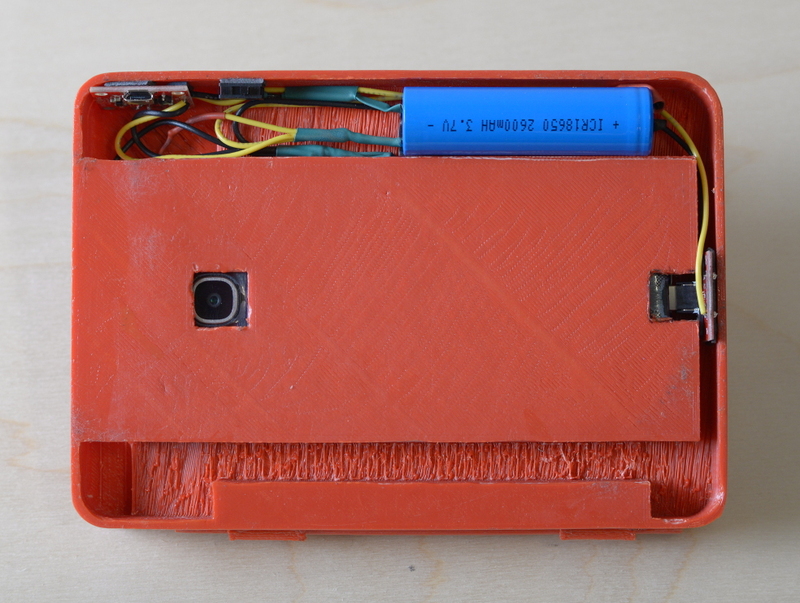 As you can see, there is still some room left over in the external bat–I mean–Pokédex, and [Npoole] intends to add another battery and a cooling fan to further improve the design. The result is a little bulky, but for new and diehard fans alike, a working Pokédex definitely worth it. While that’s printing, if you’re looking to hack your way to the perfect Poké-ball throw, try out this lo-tech addition to your Pokémon trainer kit. If properly placed, you could even 4 in it. I think I accidentally a word there. Edit button plzzz. I hope you don’t mind if I steal your exact quote for the next time I mess up. I accidentally the whole meme. Is that bad? Any trick to putting the phone in/keeping it in there? I’m looking to make something similar and I’m trying to figure out the best way to do it. What is this “…encouraging users to get active and socialise in the great outdoors.” thing that you speak off? Are you suggesting that the game actually works? I think the ultimate goal is to get users to socialize in locations like Starbucks. I’ll join the craze if McDonalds starts making a new McPokemon burger (if they can provide proof that it’s made from real Pokemons of course). Dude you just broke the internet! But please don’t give them any more ideas! I feel like this could be taken a step further with a Raspberry Pi or other single board computer capable of running Android, a cellular module, and a cheap pay-as-you-go data plan.